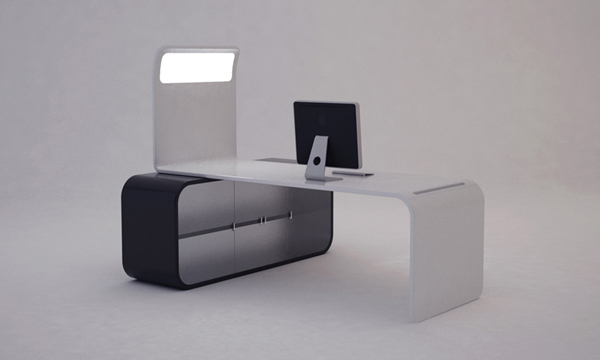 Sunset is a minimalist desk incorporating a functional library – with store and a LED lamp , which can be used as ‘separator of the office. 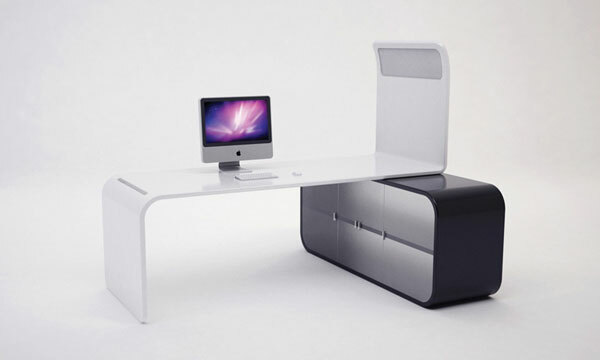 With very modern and simple lines, the office designed by Emanuele Cecini, consists of a single polished wood, which is formatted to function as a basis for the office, and as the basis for the light. The side library is accessible from both sides. 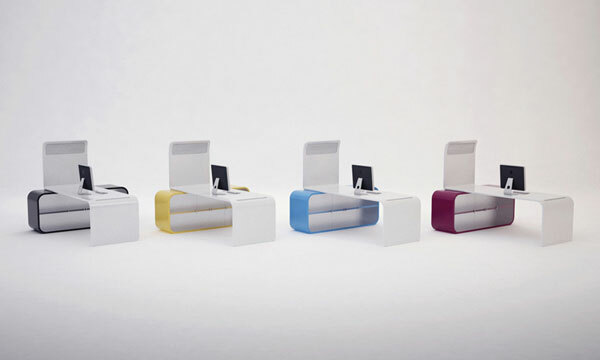 The desktop system is available in 4 vibrant colors combinations: pink, yellow, black and blue.